I’d like to give a huge shout-out to Pastor & Sis. Michael Trail of Nashwaak Valley Pentecostal Church… an absolutely BEAUTIFUL church located in Taymouth, NB, a community situated along the picturesque Nashwaak River. Although I had met the Trails on a couple of occasions it was our first time to really spend time together (as has been the case with many of the pastors that we’ve connected with during our mini-deputation). What wonderful people! We had the morning service together followed by a wonderful meal and a short Sunday afternoon nap – you know you feel at ease with folks when they let you take a nap and entertain (or are entertained by) the kids. After the evening service we drove back to Saint John (about a 1.5hr drive), arriving around midnight to 3 deer on our front lawn… quite perturbed that we’d interrupted their midnight snack on our shrubs! If you would like to financially support us during out time in France, please click here. If anyone saw the blog post which mistakenly came through to your email box yesterday (AIMKids Missionary Moment on the Eiffel Tower)… you’ve already had a glimpse of something that coming “down the pipes”. 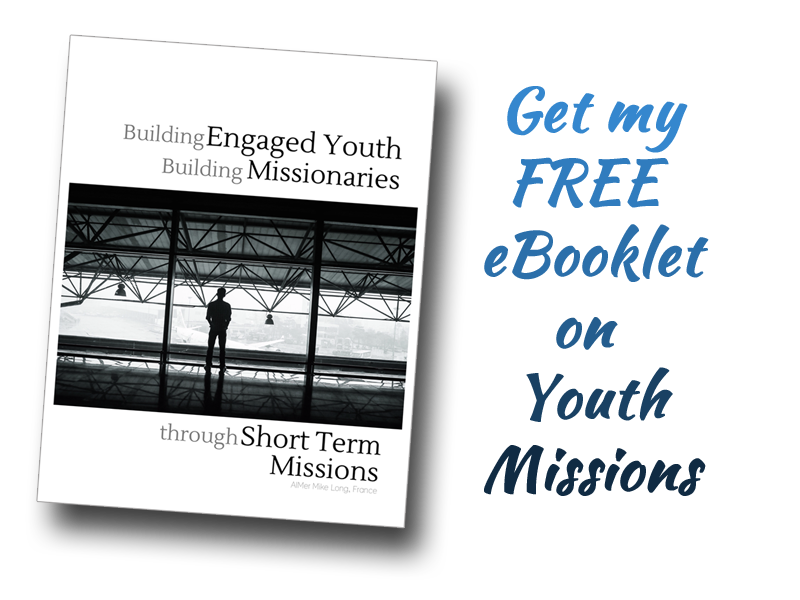 Provide tools for Sunday School & Youth workers to help grow a sensitivity to missions in the hearts & lives of kids / youth under their care, and to help them develop their own capacity to impact their part of the world. … Like I said, I have been pulling those posts together for a launch through December and inadvertently published one yesterday by mistake. I have since unpublished the post as it was not yet complete and I prefer to do a more thorough launch within a few weeks. What I can tell you though, is that the tools will have a lot to do with Raising Children with a Global Vision; a blog post from earlier in November and which came out of a workshop at General Conference in St. Louis. My apologies for the mixup… keep an eye out for that focus area in a short time. Shout out and Thank you to Sis. Owens for the great idea! We are now pretty much down to the 2-month mark. Please keep us in your prayers… there’s lots to do in the coming weeks! This weekend… our last scheduled service will be in Temperancevale, NB with our District Superintendent, Rev. Terry Brewer.